This is a rectangular Bewley’s Anchor Feeds porcelain sign. 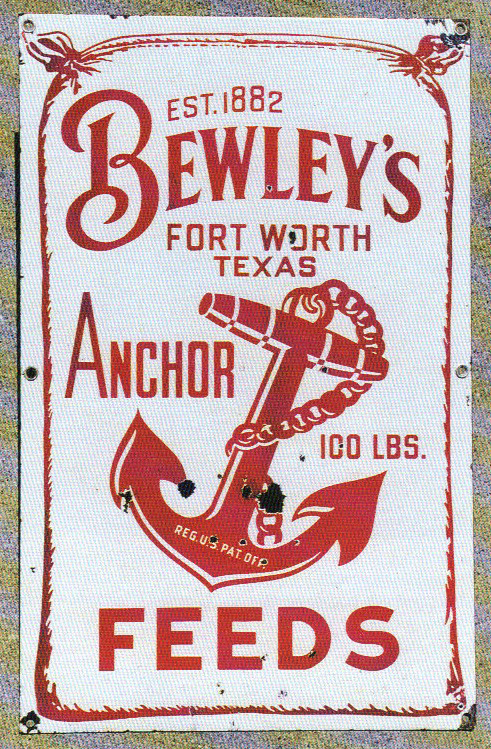 This particular Bewley’s Anchor Feeds sign features a red Bewley’s Anchor Feeds bag against a white background. It reads, “Bewley’s Anchor Feeds, Est. 1882 Fort Worth, Texas, 100 lbs” and has an anchor in the center.